This article continues the discussion of the top five problems facing CEOs today in regard to corporate performance management, with a focus on reporting. Another huge opportunity that CFOs and CTOs alike are realizing is cloud-based financial reporting. 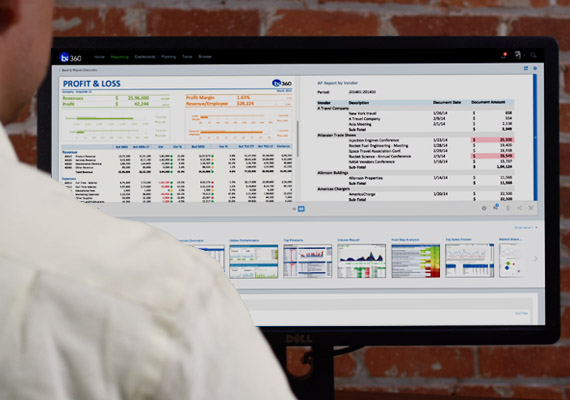 Solver’s BI360 integrates seamlessly with cloud data sources like Intacct. There are several reasons why cloud-based is becoming increasingly popular with financial professionals. Cloud-based reporting offers fast, secure, and flexible performance, with anytime, anywhere access to your reports. These solutions require no software to be installed on end-users’ computers or handheld devices, providing access to reports through any web interface. This can be a lifesaver when you need to review data on the run, or share information from remote locations. I’d say the biggest barrier to deploying a cloud-based reporting solution is simply deciding to do it. Early on, there was concern around the performance, compatibility and security of the cloud, much of which has been dispelled as cloud services have evolved. Today, the cost-savings and massive scalability—combined with intense focus on security—certainly make cloud-based reporting a valuable part of the complete self-service BI picture.